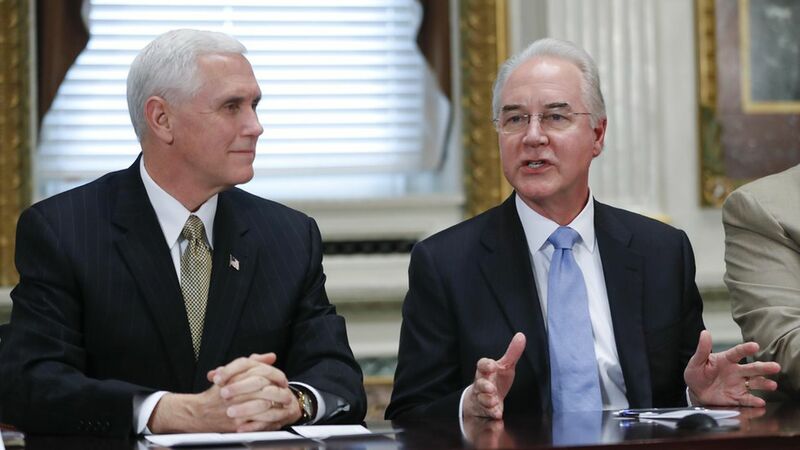 As long as Obamacare repeal is stalled, the Department of Health and Human Services has said it will uphold the law — but a new watchdog group is trying to find out what officials at HHS and other agencies are saying about it in private. American Oversight, a group of lawyers that launched last month, says it's going to use the Freedom of Information Act to dig up a lot of emails and other documents about how the Trump administration is making its decisions about Obamacare. It's mostly trying to promote transparency, executive director Austin Evers told me yesterday, and it's ready to file lawsuits to get faster FOIA responses. But it will also be looking for evidence of "sabotage," he said, and it's ready to call in outside lawyers to take the administration to court if that happens. What it will do about the law's "essential health benefits"
Why it matters: It's going to take a while, but if the group does unearth anything interesting, it will be widely shared with members of Congress, journalists and advocacy groups — so it could become a headache for the Trump administration. Evers is pretty sure his group will find something. His theory is that while Trumpcare was being written, "the administration and Congress could not have been engaging in great email hygiene."